March 31, 2010  Mosab Hassan Yousef's father helped found Hamas, the Palestinian Islamist organization. But Yousef chose a different path — working with the Israeli intelligence group Shin Bet. March 29, 2010  In the past, Israel has targeted nuclear reactors in Syria and Iraq. Some wonder what would happen if Israel attacked Iran's nuclear program. The Saban Center for Middle East Policy created a day-long simulation of the diplomatic and military fallout. Kenneth Pollack studied the results. March 28, 2010  The Israeli prime minister's trip to the White House shows how much U.S.-Israeli relations have changed under President Obama. 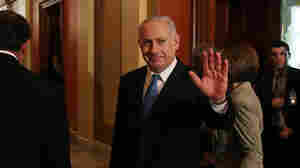 Prime Minister Benjamin Netanyahu even stayed an extra day in Washington to try to smooth things over with the Americans. The White House has kept a tight lid on the meeting, but it's clear the U.S. is not letting up the pressure. March 23, 2010  Canceled meetings and changed venues are revealing the strain during Israeli Prime Minister Benjamin Netanyahu's trip to Washington. He has remained firm on Israel's decision to build 1,600 new Jewish housing units in East Jerusalem, despite the serious diplomatic row that has ensued. March 23, 2010  The British government expelled an Israeli diplomat on Tuesday over the alleged use of fake U.K. passports in the recent killing of a Hamas operative in Dubai. Dubai police say 12 suspects entered Dubai on fake British passports — and at least 15 of the alleged assassins share names with Israeli citizens, fueling suspicions that Israel's foreign intelligence service Mossad was behind the killing. Israel has neither confirmed nor denied involvement. March 23, 2010  Melissa Block speaks to former British Prime Minister Tony Blair, who's now the Middle East envoy for the Quartet — which includes the U.S., Russia, the UN and the EU. The Quartet wants to reach a peace deal on the two-state solution within two years. Blair says that's not an unrealistic goal if talks get going. He also says Hamas could be part of the process if they are prepared to work toward a two-state solution in a peaceful way. March 23, 2010  British officials say the U.K. government is to expel an Israeli diplomat following the use of fake British passports in the assassination of a Hamas operative in Dubai in January. Israel has refused to confirm or deny its role in the killing. March 23, 2010  President Obama holds talks Tuesday with Israeli Prime Minister Benjamin Netanyahu, at a time of tension in bilateral ties. They will discuss plans for U.S.-led proximity talks between Israel and the Palestinians. March 22, 2010  Secretary of State Hillary Clinton reiterated that the U.S. is committed to Israel's security. But in a speech to a pro-Israel lobby, she also repeated U.S. concerns about Israeli building projects on land also claimed by the Palestinians, which she said undermine U.S. peace efforts. 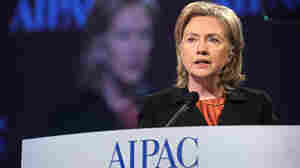 March 22, 2010  U.S. Secretary of State Hillary Clinton is scheduled Monday to address a convention of AIPAC, the pro-Israel lobby. Her speech comes with the U.S. and Israeli governments at loggerheads over Israeli plans to build new housing in disputed East Jerusalem. March 21, 2010  When Secretary of State Hillary Clinton called Israeli Prime Minister Benjamin Netanyahu to warn him that an Israeli housing project in East Jerusalem is harming U.S. interests, a pro-Israel lobby in Washington was quick to accuse Clinton of blowing things out of proportion. AIPAC, or the American Israel Public Affairs Committee, called on the Obama administration to tone down the rhetoric. The Obama administration did get support, though, from a new pro-Israel lobby, J Street, which says Israel has to take steps to improve relations. It is against this backdrop that AIPAC opens its annual policy conference, a meeting where both Clinton and Netanyahu are expected to speak. March 19, 2010  Israel's recent announcement that it will build new homes in an East Jerusalem neighborhood sparked one of the worst diplomatic disputes in recent memory between the U.S. and Israel. Over the past few days, the two sides have begun to mend fences. Secretary of State Hillary Clinton called a phone conversation with Israel's prime minister productive. Michael Oren, Israel's ambassador to Washington, offers his insight.